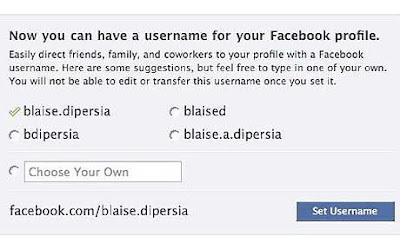 In 7 minutes (and counting), Facebook will allow users to create a username for their FB profile. Been amazed by the media coverage of this 'event'~! What will yours be?